Vania Khaleh-Pari also known as Nia-V is a songwriter hailing from North London, England. Her music is described as; “versatile, constructive, creative and fresh.” Nia draws elements from R&B, Pop, Drum and Bass, Hip-Hop, Arabic and Bollywood music, all of which she became accustomed to whilst growing up in multicultural London. Her writing style stems from real life experiences, unorthodox situations and the constant drive to push the musical envelope as her heroes have done before her. Born in Iran and raised in London, Nia was exposed to music through her uncle - the legendary performer ‘Nasser Kondazi'. This gave her a real insight into the international music industry. This set Nia on the path to working hard to achieve her dream as a songwriter. Hustling to get herself in sessions with artists, producers and songwriters, Nia found herself working with the likes of Harmony Samuels (Grammy Nominated producer), SOS, J Warner, Jasmine Kara (Grammy award winning Swedish artist) and more. Influenced by writers such as Dianne Warren, Sia, James Fauntleroy, Ina Wroldsen and Julien Michaels, Nia draws inspiration from her own life and that of the people in it, as well as literature and even social media. This helps Nia to bring a unique and fresh perspective to songwriting. 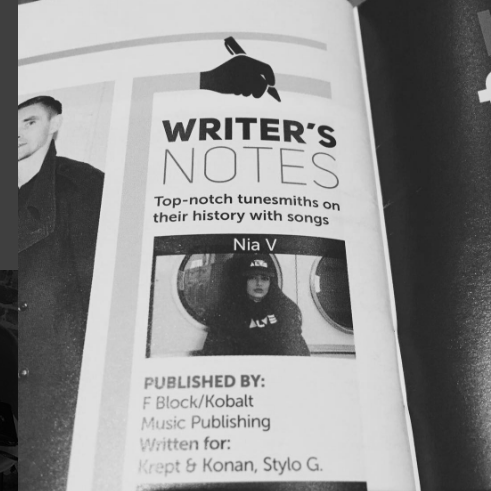 2015 saw Nia finally breakthrough and achieve her first placement- writing and featuring on the title track to the hit album by rappers; Krept & Konan – “The Long Way Home”. Nia also contributed a second track to the album titled “Lucky Ones”. The album went on to land in the top 3 of the UK album charts. 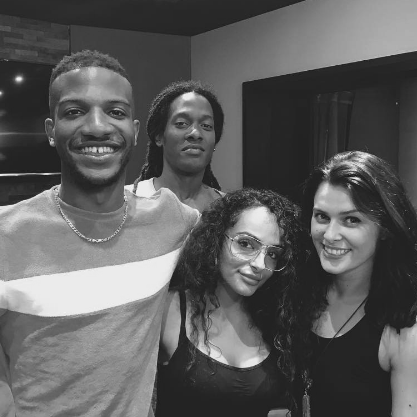 Following on from this Nia went on to sign a management agreement with Unstoppable Music Group who set to work putting her into sessions with the likes of Levi Lennox (Zayn Malik), ADP (Chris Brown, MIA), Mac & Phil (Emili Sande) and lots more. 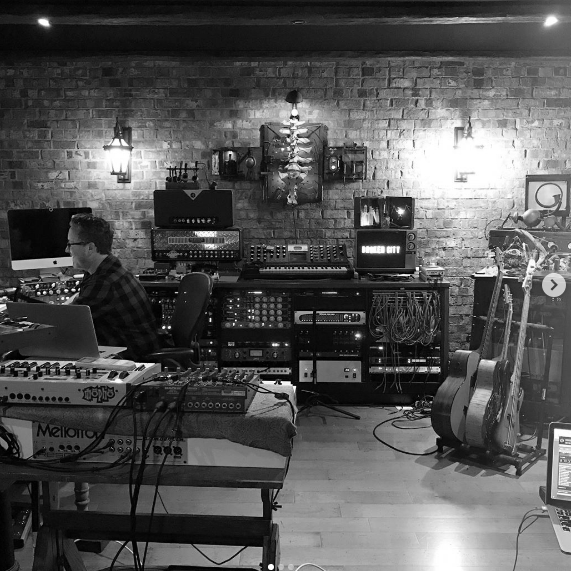 Her work began to attract the attention of publishers and in 2016 Nia signed a publishing agreement with F-Block/Kobalt which would allow her to dedicate herself full time to songwriting. Within the first year of signing her deal Nia already has numerous songs on hold with Rita Ora as well as songs on hold for international superstar Shakira. She recently returned from the Neikid Stockholm writing camp where she worked with Scandinavian production team ‘Neikid’ as they look for a follow up to their huge smash ‘Sexual’. Additionally She been working with ‘Wretch 32’ as he begins writing his new album, Stylo G (Call Me A Yardie) on his new material as well as sessions with the likes of Junior Blender (Major Lazer, Justin Bieber) and Banx and Ranx (Lady Leshurr) whilst in the spring she is scheduled to hit the studio with ‘Party Next Door’ who has expressed a desire to work with Nia since hearing her material towards the end of 2016. 2017 is setting up to be the year that Nia-V finally fulfils her dream and leaves her mark on the music industry. WHAT HAS NIA BEEN UP TO?